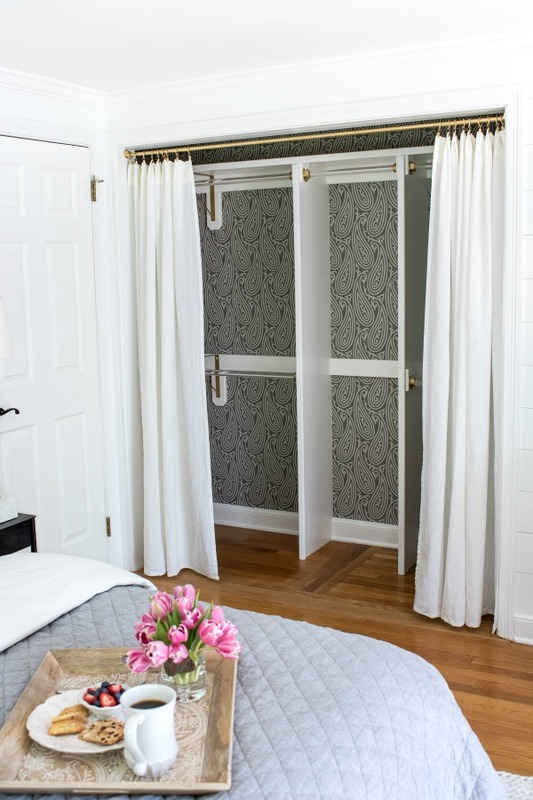 Have you ever wondered what makes a closet streamline and stylish? One that you could walk in and be able to easily pick the outfit of the day, or one that feels like it jumped out of the pages of a magazine – pretty yet neat and functional! Today, I am sharing with you 5 stylish reach-in closets that are prefect for a grab-and-go lifestyle when all you care in the morning is to get dressed and get out of the house. 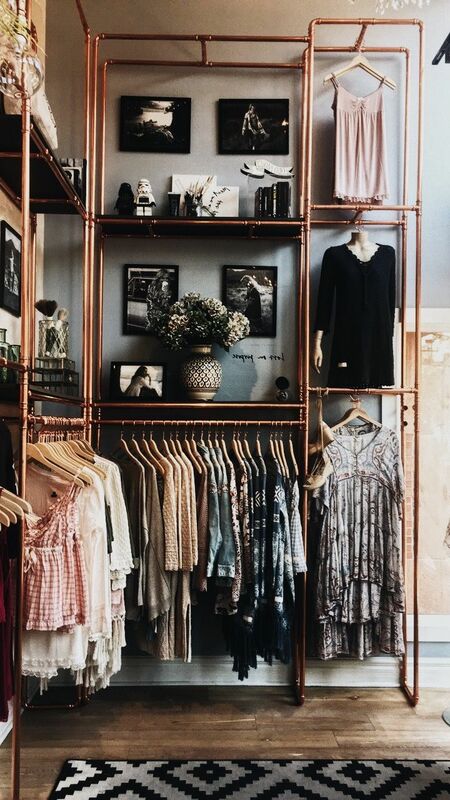 A copper DIY closet is a great option for a space with modern style. This closet design is sure to keep the clothes off the floor and provide space to showcase all your favourite art prints and belongings. From flower vases to designer handbags, this copper closet could compliment any stylish apartment bedroom. Getting ready in this space is nothing less than enjoyable. Clothes are neatly displayed in same colour hangers alongside custom shelves to store your folded jeans. The ‘less is more’ concept helps you focus on your favourite pieces of clothing and with less pieces displayed getting ready has never been quicker and easier! If you hate clumsy bi-fold doors then replacing the doors with curtains might be the solution you are looking for! Not only it saves you the pain of cleaning the doors every often but it also makes everything be easily accessible in a second! There is storage space for everyone in this closet and creating a place for boxes helps you eliminate clutter. Have you ever designed your own closet? Which one is your favourite? Next Post Let’s chat:: How to Practice Gratitude, a Guide!